Iron Fencing services for Mansfield, Midlothian, Kennedale and surrounding areas. Iron Fences are one of the best options for your home or residence. They are very popular, because of the sleek look, classic and historic curb appeal, and the long lasting durability. With new manufacturing processes it helps achieve this qualities so our customers have the best Iron Fence in Mansfield. Our iron fences undergo a multi-step process to make them highly rust resistant. They all have been applied with a powder coating process, which also includes a several step cleaning process. A corrosion resistant epoxy primer is applied to help protect the metal. By using heavy gauge galvanized steel it gives is a stronger durability to the Texas weather. 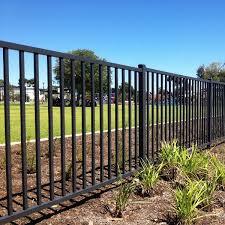 We build our iron fence to last, we can do commercial or residential projects. ​Our designs will make your location stand out and will meet your needs. No job is too big or too small, we can customize anything to make sure you are satisfied. We can deliver head turning results and still achieve your needs of privacy, safety and containment.